MKAS - MK & AS Services Pty. Ltd.
MK & AS Services Pty. Ltd. provides digital and cloud services consulting to businesses in Perth, Western Australia. We work with you to produce tailored solutions to your IT needs, your website and communications, and your Microsoft licensing. We are proud to have partnerships and memberships with leading organisations such as Microsoft, the Australian Web Industry Association and Hosted Network. We provide that personal touch when dealing with our clients, so please get in touch and let’s meet for coffee to discuss your business’ needs and how we can be of service – it’s our treat! MKAS is your local cloud solutions provider.  Fancy a coffee and chat to see how we can help you?